When the time comes to honor your team members we offer a wide assortment of unique, stylish employee recognition gifts for a variety of special occasions. Sometimes you get those special employees whose efforts can’t help but stand out. You know who they are. They are the ones there early because they would rather deliver on time than ask for extensions. They are the employees who consistently exceed expectations. And, most often, they are the ones who show the humility to deflect individual credit and preach about the effectiveness of the team as a whole. When you make the decision to purchase employee recognition gifts you want to make sure to get just the right ones. But how do you even begin looking? With our online search capabilities, you can peruse employee appreciation gifts by category, and theme! This way, you can quickly and intuitively narrow down your choices! Our extensive online catalog features several gift items to choose from. Find the perfect employee recognition pin, a variety of quality crystal award trophies, or even unique recognition framed medallions. Everyone appreciates a thank you for a job well done. Indeed, a simple “thank you” or a pat on the back is great ways to show daily recognition to your hard-working employees. Sometimes, however, an employee’s efforts genuinely go beyond the words you can offer in thanks. It is at these times when employee appreciation employee recognition gifts demonstrate your true thankfulness. 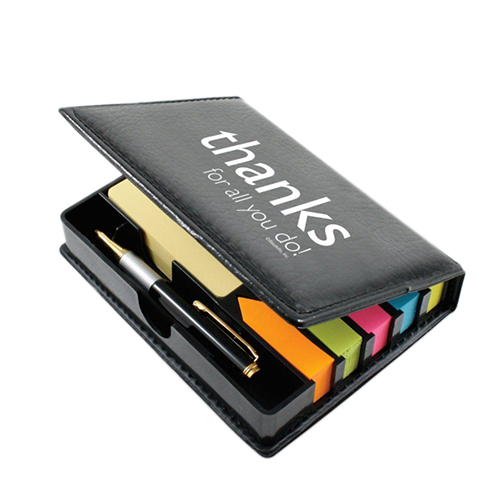 More than just words, employee appreciation gifts are an actual, physical, tactile way to show your gratitude for employees whose everyday actions exceed the everyday expectations. Perhaps you know exactly which employee recognition gifts you are looking for. If you are in search of unique employee recognition gifts, then may we suggest our unique employee recognition pins and crystal award trophies, which add a touch of style and continue to be very popular items. Employee recognition pins are perfect for many applications. Whether it is to simply recognize an “Above and Beyond” performance, or to mark a 20-year service anniversary, an employee recognition pin says a lot. We have an employee recognition pin for a variety of special occasions. Crystal award trophies combine simple elegance with the warmest wishes. Plus, they look great on the mantle! In addition to crystal, we also carry tasteful award trophies in other materials, such as wood, stone, metal, and acrylic. Choose the right employee recognition gifts for the right employee. Whether it’s an employee recognition pin, award trophies, lapel pins, or a variety of other unique appreciation gifts, we are your one-stop shop for exclusive employee recognition gifts ideas. You can even personalize gifts for a special touch to elegantly show how much you care. The purpose of an award is to show your appreciation to someone for a job well done. Therefore, it is highly important that you choose the right employee recognition gifts, as people tend to equate your level of appreciation with the quality of award they receive. Our wide selection of customizable gifts guarantees you can find the perfect product, whether it be a personalized glass desk clock as recognition of great performance, or a plaque to signify employee of the month. Recognize your employees with more than the average plaque or lapel pin. We specialize in unique employee recognition gifts and incentives. From jewelry, gift cards, name brand electronics, and luggage to select-a-gift catalogs, we have an employee incentive for every type of company. Your logo will look great for years to come on our genuine marble coaster tiles. They are available with solid American walnut or without. Presentation/gift box included. Our plaques and our Steel Corporate Bars are perfect for company mission statements or recognition and perfect for company mergers or employee recognition. All of our employee recognition gifts can come nicely packaged. Looking for the perfect employee recognition gifts then you’ve come to the right place. Gifts ranging from tumblers, duffle bags, watches, and so much more. We can put together a few gift ideas for you that we think would make perfect gifts. Not only are these items made from fine quality, they will look classy with your company logo branded upon them. Contact us and of our specialized consultants would be glad to assist you in any way they can!